The Beatles 50 Years Ago Today: November 29, 1968. Beatles Radio: The Beatles, Solos, Covers, Birthdays, News The Fab 4 and More! 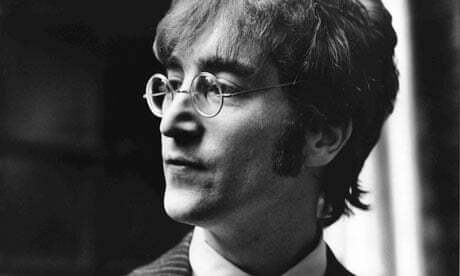 John Lennon, one of the Beatles, was fined £150 with 20 guineas costs at Marylebone Court in London yesterday after admitting possessing the drug cannabis. A charge against him of obstructing police in the execution of a search warrant, to which he pleaded not guilty, was dismissed after the prosecution had offered no evidence on this. Mrs Yoko Ono Cox (34), a friend, who was with Lennon in the dock, was cleared of both charges against her – possessing cannabis and obstructing police – after the prosecution had offered no evidence against her. She had denied both charges. Mr Roger Frisby, prosecuting, said the pleas were acceptable to the prosecution. As far as the charge of possessing cannabis was concerned, they were found in a flat which was in their joint occupation. "When the drugs were found Lennon took full responsibility himself and by implication said Mrs Cox had nothing to do with it. There is not evidence that she did and in the circumstances I think it right to accept the plea." As far as the charge of obstructing the police was concerned, there was an obstruction or delay of seven or eight minutes before the officer was admitted to the flat. There was no suggestion that either defendant took advantage of the time to dispose of the drugs and he felt the plea was a proper one to accept. Mr Martin Polden, defending, said that Lennon and Mrs Cox had occupied the flat for about three months before the police searched it. They had moved there following Mr Lennon's "marital" difficulties. It was a "highly emotional situation" for Lennon and Mrs Cox. She had been in hospital for about two weeks, hoping that her baby could be saved, but it was not. They were looking forward to having a child. Mr Polden said of Lennon: "He is an artist of note and integrity. He has brought some pleasure to millions. He has stood by his views. He is entitled to some compassion of the court." The magistrate: "Can I take it that John Lennon is a man of considerable substance ?" Mr Polden: "He is a man of considerable substance." The magistrate told Lennon: "I have come to the conclusion that it is not possible to deal with this matter by way of conditional discharge. There must be a financial penalty."